The idea of value investing can be thought of as seeking to buy stocks that are trading at a discount to their fair value. It’s the idea of buying a dollar worth of assets for less than a dollar. It’s popular among both practitioners and academic researchers. 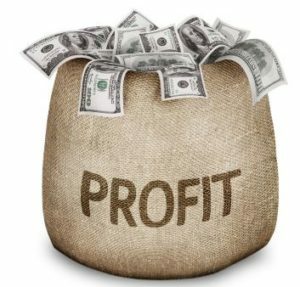 In the academic community, investment strategies that can deliver market beating profits are called “factors.” The value factor is widely studied and shown to deliver profits in the long run when properly implemented. Factors have been used to explain abnormal market performance since at least the early 1960s when the Capital Asset Pricing Model (CAPM) was introduced. This model identified a market risk factor to explain that some stocks carry more risk than average, other less risk than average and the risk of the individual security explained its performance relative to the broad stock market. Nearly thirty years later, two business professors, Eugene Fama and Kenneth French, explained that the single market risk factor did not fully explain performance Fama would later be recognized with a Nobel Prize in Economics for his work. The two developed the Fama–French three factor model to describe stock returns. The three factors are (1) market risk, (2) the outperformance of small versus big companies, and (3) the outperformance of high book/market versus small book/market companies. The second factor is known as the size factor and the third is the value factor. 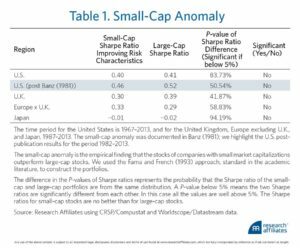 Basically, on average, we should expect small cap stocks to deliver larger returns in the long run and we should expect value stocks to outperform in the long run. The pace of progress accelerated after that. Just four years after the Fame-French model was published, the Carhart four factor model was published. This is an extension of the Fama–French three-factor model and introduces a momentum factor for asset pricing of stocks. 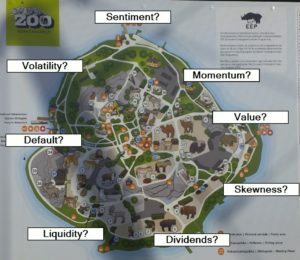 Now, as one noted finance professor says, there is a “factor zoo” with hundreds of factors identified in the literature. While some quantitative investors are using many factors, with one reported to be using an 81-factor model to build equity portfolios, that is simply not practical for individual investors. In fact, it could be best for individual investors to ignore many of the papers claiming to find factors. The table shown above is typical of the type of research into factors. The researchers are looking for statistically significant relationships. They may not be looking for economic significance or ideas that can be profitably traded. That is important for investors to remember. “Recognizing the dangerous combination of cheap computing power and overzealous young finance Ph.D. students, our professors explained that if one runs 10,000 back-tests, one is bound to discover a few incredible factors which generate huge Sharpe ratios. One recent paper, written by Cam Harvey, a widely respected past editor of the Journal of Finance, with co-authors Yan Liu and Heqing Zhu, studied 315 factors from top journal articles and highly regarded working papers. Adjusting for “data snooping,” Harvey, Liu, and Zhu (2014) conclude that only a handful of the factors in the zoo are actually statistically significant. Using this adjustment technique, the value, low volatility, and momentum anomalies are very significant. It should also be noted that risk factors like market and illiquidity are significant. But, the researchers concluded that the size factor is insignificant, confirming earlier research. They also found that many of the newer factors, such as idiosyncratic volatility and various definitions of quality like default risk, ROE, and ROI, are also insignificant. All of this research does have practical implications for individual investors. In large part, they can ignore much of the research except as an intellectual curiosity. If they are focusing on finding profitable investing ideas, value stories should be considered. Here, the research is robust and almost any measure of value can be used. The price to earnings (P/E) ratio could be used, for example. With this metric, low value stocks would be bought and stocks with high P/E ratios would be sold or avoided. Other popular ratios, including the price to sales (P/S) ratio and price to book (P/B) ratio, could also be used. Now, remember that adjusted for data snooping, value, low volatility, and momentum factors were very significant. Value can be measured in a number of ways. Low volatility can be measured with beta, a readily available metric that shows how volatile a stock is relative to the broad stock market. Momentum is also widely available. An investor could, for example, screen for stocks with low P/E ratios, a beta lower than 1 and a market beating return over the past six months. That is a strategy supported by research. The researchers also noted that factors associated with illiquidity are significant. This could mean buying stocks with low trading volume could be beneficial. This would most likely require a long term outlook and could benefit small investors, since large investors cannot readily exploit this factor. Overall, this is good news for individual investors. Focusing on value, perhaps combined with momentum, can beat the market. The data for this research is readily available and the time required to implement the strategy is minimal, consistent with the demands on the schedule of individuals. Complex strategies, requiring more time and effort, may not be worth the effort.